By now you probably learned everything there is to know about Apple's new flagship phones. But what you didn't know is that Apple has secretly waterproofed the new iPhone 6s and iPhone 6s Plus just like it has done with the Apple Watch. 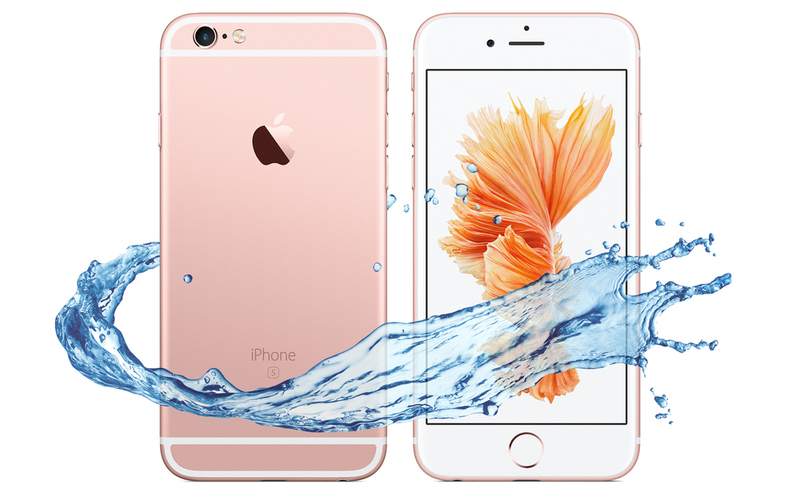 As you can tell from this video below, not only are the iPhone 6s and 6s Plus water-resistant, but also fully waterproof and can last being submerged underwater for well over 30 minutes. And that only makes sense for Apple to protect their iPhone models against water damage from a business prospective since that will greatly help reduce the cost of AppleCare+ warranty claims from people accidentally ruining their devices from liquid damage, which is always a costly repair that often requires a full device replacement. Now Apple never officially confirmed this nor has the company ever mentioned that the new iPhones are indeed water-resistant or waterproof. And although there have been many water tests clearly confirming that the new models can infact survive being put underwater, we still wouldn't recommend doing this yourself - unless you've got AppleCare+. We do know that if you use 3D Touch or if at any point the iPhone vibrates while it's under water, that could let water inside more easily and ultimately damage the phone.